PARIS (Bloomberg) -- Renault is building Africa's biggest assembly plant in an audacious bet that buyers there are poised to shift away from public transport and used cars. The French manufacturer and its partner, Nissan, are ramping up production at a 1 billion-euro ($1.2 billion) plant in the Moroccan port city of Tangier. Renault has also laid the groundwork for a factory in Algeria, though there's no timetable for its construction. "Africa is stabilizing," Jean-Christophe Kugler, Renault's senior vice president for the region, said in his office near Paris. "It's better to take positions right now to have new growth drivers when other markets start to mature." Europe's third-largest carmaker is pushing rugged, no-frills models from the budget Dacia brand in Africa as the company gets squeezed in the slumping European market. Low-cost Asian rivals are making a big push in Europe while upscale manufacturers like BMW and Mercedes-Benz have increased their small-car offerings. The French company posted the biggest drop in vehicle sales by a European carmaker this year, as the region heads for a fifth straight annual decline to the lowest level since 1995, according to regional manufacturers' association ACEA. Renault's European market share fell to 8.5 percent in the first half of 2012 from 9.5 percent a year earlier, while Korea's Hyundai and Kia increased their combined share to 5.9 percent from 4.7 percent. BMW, which introduced a new version of the 1-series compact last year and has expanded the Mini brand, controlled 6.1 percent, up from 5.7 percent, according to ACEA. Still, Renault has weathered the downturn better than PSA/Peugeot-Citroen, its larger French competitor, because Renault moved beyond its home region earlier. That effort, which includes the 1999 alliance with Nissan, helped Renault increase the proportion of cars sold outside Europe to 47 percent of revenue in the first half, compared with 39 percent at PSA. With heavy discounts reducing margins in Europe, the expansion has been critical to keeping Renault profitable. The company's net income was 786 million euros in the first half, as deliveries rose 20 percent in Latin America and 29 percent in Russia. Nissan, which is 43 percent owned by Renault, contributed 230 million euros to earnings. Dacia, the Romanian company that Renault bought in 1998, is at the center of the carmaker's push into emerging markets. Rivals can't match Dacia's combination of European technology and low prices; the Sandero hatchback starts at 6,790 euros in Germany. "They clearly have an edge in this segment," said Ian Fletcher, an analyst with IHS Automotive in London. Renault's Kugler sees potential for Africa to mirror Latin America starting next decade. Car sales in South America are forecast to rise to 5.75 million vehicles this year, double the level of 2005, according to IHS Automotive. Sales in Africa are estimated at about 1 million vehicles this year, with more than half in South Africa. That means about one car is sold for every 1,000 people in Africa, versus 15 in South America. "Renault's strategy of getting there first is a very sound one," said Neil King, an automotive analyst at Euromonitor International Ltd. "It is performing significantly better than Peugeot, largely because of this." PSA's net income plunged to a loss of 819 million euros in the first half from a profit of 806 million euros a year earlier. Europe's second-largest carmaker was downgraded to two levels below investment grade by all three main credit rating services in July. The Tangier factory, Renault's second in Morocco, after a 50-year-old facility in Casablanca, will have capacity to produce as many as 400,000 vehicles a year, dwarfing other plants on the continent. Daimler and BMW each have factories in South Africa that make about 50,000 cars a year, and Volkswagen assembles about 100,000 cars annually in a plant there. "We're always looking for new frontiers," said Andy Palmer, Nissan executive vice president for global planning. "Most definitely, Africa is one of those. Kenya and Nigeria are on the verge" of becoming big markets. Renault-Nissan's Tangier factory, which started production in February, will have two assembly lines and produce the Dacia Lodgy and Dokker minivans, mostly for export to begin with. The first line, with annual capacity of 170,000 vehicles, is ramping up, and construction on a second is slated to start next year. Renault also signed a memorandum of understanding with the Algerian government in May to build a factory there. Renault has recruited local partners like the conglomerate Duarte in Angola, where incomes are rising after oil and gas discoveries in recent years. The French carmaker has lined up 14 sales and import partners to give it a presence in 25 countries in sub-Saharan Africa. 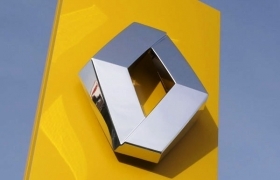 The Dacia brand should help Renault make inroads in the region, where it will chiefly compete with second-hand vehicles as well as Toyota and Hyundai-Kia, the biggest sellers of new cars in Africa, according to IHS. The biggest challenge though may be an infrastructure base that's often more suited to camels and donkeys than even the sturdiest of vehicles. "What's interesting is to lay out the conditions to create an automotive industry that would allow the population to equip itself easily," Kugler said. "Most of the time, they don't have any roads."